Tired of holding your things in your hands? Well, worry not. These carrier boxes that we sell are to take your worries away. 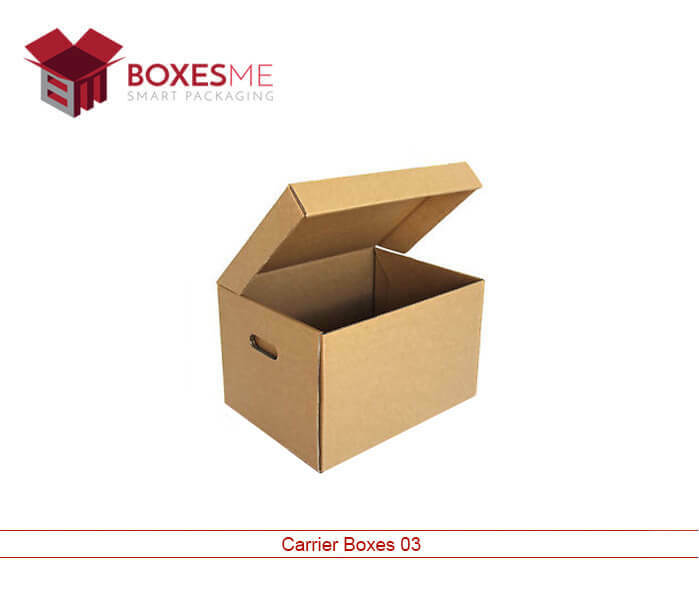 The cardboard carrier boxes that we sell are handy to carry multiple numbers of things with you at a time. 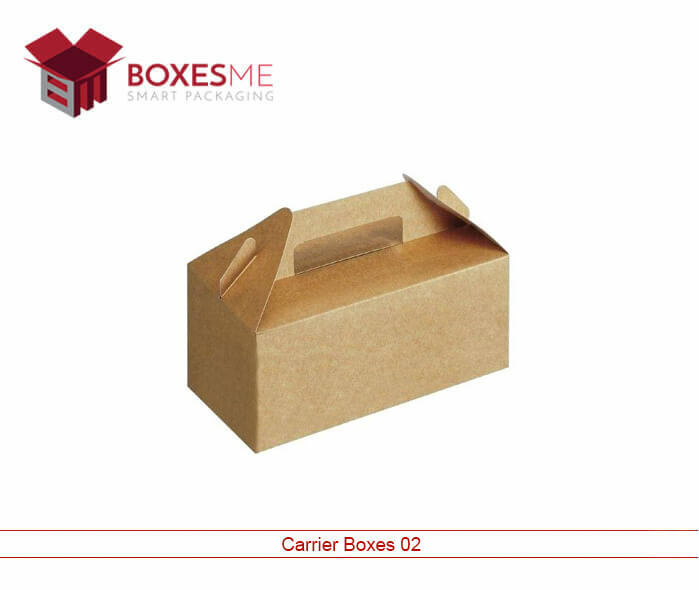 We have windows on the carrier boxes, which will show you your products and the labels on it. The window flaps fold in such a manner to hold the product in place. The material used to make this packaging is imported from the best manufacturers, assuring you a great quality and warranty of a few years. It has a naturally ribbed texture that comes with it and is an exceptional use as a gift box as well. It is perfect for mix and match carryout. 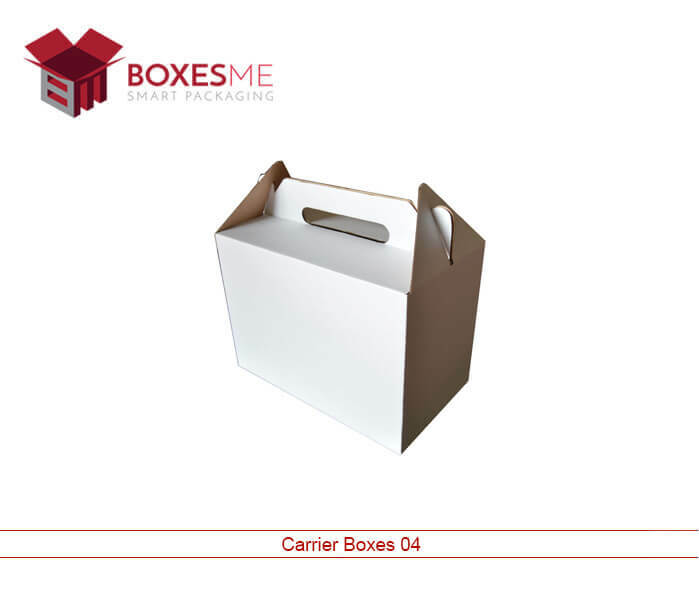 We have different carrier boxes, which are used to carry different things. It has ample place to store a lot of things in the carrier box. 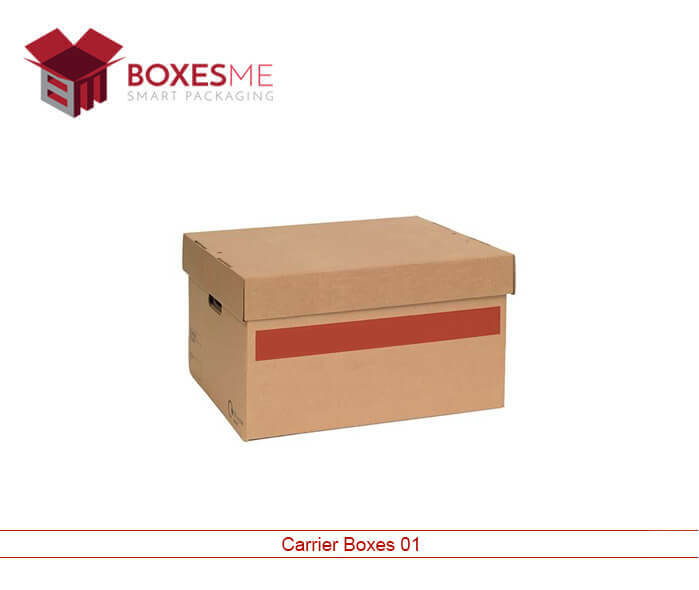 Carrier boxes provide the best storage space for all kinds of items. It is the most delicate yet the most useful packaging. The storage material is not restricted to any rigid specification. However, the clients to hold the authority to make desired changes to the carrier Box. A very famous carrier box that holds the property of fundraising is excessively used in our society. It brings motivation into the hearts of people to understand the necessity to help the poor and make an extravagant donation. It helps make up your mind towards the kind gesture of spending on other people who are incapable of making a living. Keeping a carrier box for fundraising is likely to add value to the goodwill of your organization. Other than added value, the gesture is highly appreciated by everyone who comes across the carrier box for fundraising. It has promoted a number of businesses and continues to improvise the aggregated revenue. The fundraising carrier box can be altered into anything that reflects the client status. We understand the need to improvise every packaging according to the demands of the client. Thereby we are flexible to encounter any individual specification as to how the carrier box packaging should appear to the customers. Depending on the individual client business, we display designs in a variety of color, shape, and style that will enhance the outlook of your fundraising carrier box and assist in appealing the customers to choose to contribute. Making up a mind is the critical part when it comes to designing the right packaging; a packaging that will assist the client as well as the consumer. After the entire end product reaches the consumer and the consumer generates fund to the client. We also recommend our clients to get the logo printed on the promotional carrier products so they continue to represent your brand thereby enhancing the goodwill.